June 13, 2018 | James P. Yudes, Esq. Kate Spade’s recent suicide has been the subject of widespread speculation in the news. How could it be that this attractive and successful icon of fashion would take her own life? After all she sold her business for billions. She was attractive, popular in the media and in the “right” social circles. She had everything to live for including a 13 year old daughter with whom she had a loving relationship. The simple answer offered by friends and family was she suffered for years from depression. Depression is an epidemic in this country. One in six Americans report taking some form of psychiatric drug, while it is estimated that sixteen million Americans are severely depressed. We will never fully know what caused Kate Spade to take her own life however we do know that she was going through a potential divorce. 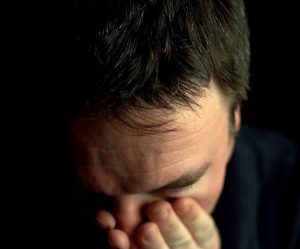 According to the experts, divorce, the loss of a loved one and leaving a home are the three most powerful stressors or triggers that can lead to a situational or clinical depression. Kate Spade left a suicide note assuring that her death was not her daughter’s fault. I suppose it is fair to say that her suicide was nobody’s fault; perhaps it was inevitable. However, it does offer a cautionary tale. Whether you are contemplating divorce because you see no other solution to your marital problems, or you are being told by your partner that they want a divorce, you are dealing with life altering, highly emotional issues. Divorce can offer a fresh start, and some view the prospect of a new beginning positively. However the prospect of divorce and the actual process can become extremely stressful. Divorce naturally leads to one taking account of physical possessions, the cost of living and triggers economic concerns and uncertainty. Even in those rarefied matters were economic concerns do not factor into the equation, Divorce causes us to take inventory of our relationships with our: children, families, friends and community. We also tend to take stock of ourselves. This inevitable introspection can easily veer sideways. Divorce lawyers will often recommend that an accountant be hired to review the family economics so that an intelligent evaluation of family economics can occur. Lawyers will frequently recommend that a client go for a physical exam so that any medical problems can be addressed. A well visit to a mental health professional is also a good idea. Some people can easily cope with the stress of divorce; some people think they are coping when they really are not. You may put on a brave front with your lawyer and others but the mind is complex; doubts and uncertainty may be lurking within. There is nothing wrong with needing a little help or at the very least a “look under the hood”. We take our cars in for periodic check ups as well as other high ticket items from furnaces to gold watches. Most of us have yearly physicals but few pay attention to our mental health. A good mental health professional is a safe place to discuss doubts, uncertainty and fears. Even if not depressed it is a good place to unload. Some folks try to use their lawyer as a sounding board. Law school does not quality your lawyer as an arm chair shrink. The lawyer’s job is dispassionate advocacy and legal advice. Your lawyer is is likely to be sympathetic to your case, but that does not qualify him or her to dig into your psyche nor should you want that. Suicide is one of the major causes of death in America. Of the three most major stressors in life, two are present in divorce; the action itself and someone or everyone moving. Loss of contact or reduced contact with one’s children can feel like the loss of a loved one. The point is there is a lot of emotions to control. We all need a little help now and again. There is no shame in seeking help. The shame is a mother who will miss the life of her 13 year daughter and a daughter who lost her best friend.